Having good dental care for your rabbit reduces the risks of many other health problems.We are passionate about rabbits and want them to be healthy as possible. Dental health is a great place to start. Here is some important formation on how to keep your rabbits teeth in tip top condition. What are rabbits teeth like? Rabbits are lagomorphs. This means that unlike humans their teeth are constantly growing. In fact they can grow between 3 to 5 inches in a year! The food that rabbits eat naturally is very high in fibre. This requires lots of chewing and grinding to eat and so wears the teeth away, this is why they are designed to keep growing. Rabbits have 6 incisor teeth (which are the ones at the front) composed of 4 big incisors and 2 small Peg teeth behind. The cheek teeth are made up of molars and pre-molars. The incisor teeth are used for snipping off bits of vegetation and stay sharp by shearing against each other. The cheek teeth are used to grind their food down so that it can be swallowed and digested. Rabbits do not have canine teeth like dogs and cats do , but instead have a gap between their incisors and cheek teeth. How do we look after our rabbits teeth? The diet is the most important factor. Rabbits are designed to eat grass ….. and lots of it! 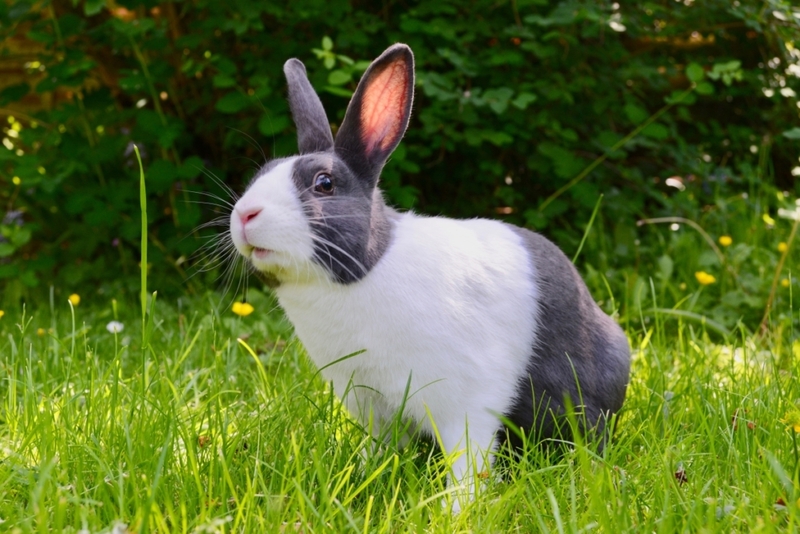 For our pet rabbits it can be difficult to feed adequate amounts of grass all year around. The next best thing is hay. Rabbits teeth need to grind down their food in a side to side motion in order to wear down correctly. Only foods with long fibres like grass and hay can achieve this motion. Hay should make up 80-90% of the food that your rabbit eats on a daily basis. This hay wont just help with your rabbits teeth but help to keep their gut healthy too. Whilst pellets and greens are good they do not help with grinding the teeth. Pellets and in particular muesli mixes should be viewed like pick and mix sweets – too many each day is bad for the teeth. This is because often the more pellets they eat the less hay they eat. For more information on how best to feed your rabbit please click here. Problems with rabbits teeth are usually either due to a hereditary mis-alignment of the teeth (often seen in dwarf breeds) or bad diet. If your rabbits upper and lower teeth are not worn away properly then overgrowth occurs. These overgrown teeth often start forming “spurs” or sharp points which can dig or cut into the tongue or inner cheek of your rabbit, causing pain and discomfort. If left untreated or unnoticed the pain and discomfort can lead to the rabbit not eating. This can progress to ileus or ‘gut stasis’. This is where the intestines and other parts of the digestive tract slow down, stop working properly . This if left untreated is life threatening. Treating dental disease in rabbits. Firstly it is important to get rid of any spurs your rabbits may have. To do this your rabbit will require an anaesthetic and a dental. Here at Rochford Vets we have two vets: Daniella and Catherine who are used to doing rabbit dentals. If your rabbit requires a dental procedure then a dental drill is used to take down the sharp overgrowths of the teeth. 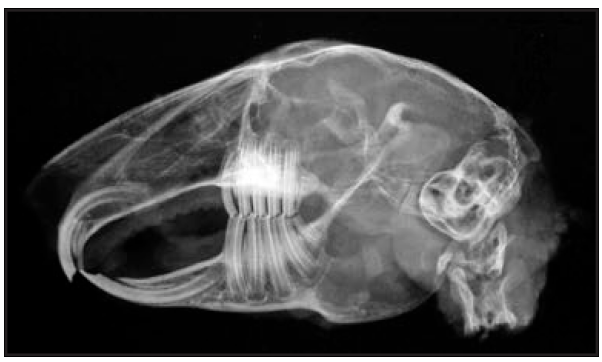 Rabbits undergoing this procedure should be anaesthetised as any movement could lead to injury. We have special dental equipment for rabbits to make sure we can do the best job possible. Often however the spurs in the mouth are only part of the story and so radiographs may be taken to assess the roots of the teeth . This is because when teeth are not being ground down properly then abscesses can form at the tooth root. This is more likely with chronic dental disease. Depending on the severity and location of the abscess different treatments are used for these. Dental abscesses can be linked to other problems such as ear infections, respiratory infections, abscesses behind the eye and even middle and inner-ear infections leading to head-tilt. Once a rabbit has needed to have a dental it is likely that they will need regular routine dental treatment to keep their teeth as healthy as possible. How do I know if my rabbits teeth are causing a problem? There are a few things to monitor to check your rabbits teeth. Firstly keep a check on how much they are eating and what they are eating. One of the first signs of dental disease is a change in eating habits. Secondly check that they are still passing the same amount and size of droppings as normal. Lower than normal and smaller balls of droppings are a sign that they are not eating as much as they should be. If this happens it its important to call for an appointment with your vet as soon as possible. Another way to monitor the amount of food being eaten is to check your rabbits weight. By regularly weighing your rabbit you can see if they are loosing weight, which may be another sign of dental disease or indeed another health problem. Lumps or masses developing around the jaw and discharge from the eyes are both signs that can be caused by dental disease. If you are worried that your rabbit may be suffering from dental disease please call to make an appointment with one of our veterinary surgeons on 01702 545558.